Product #1015 | SKU Z-ZTD | 0.0 (no ratings yet) Thanks for your rating! The Ztudio is a z-release mount that allows you to mount a 19mm rod perpendicular to another 19mm rod. This is the perfect mount to use with the RED ONE Birger mount. It will solve all problems. 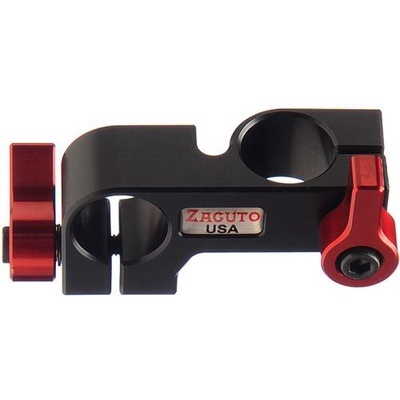 Like all Zacuto equipment, the Ztudio is extremely light and strong. Release or tighten the Ztudio with a quarter turn of the lever.